Can You Concealed Carry While Dropping The Kids Off At School? It's that special time of year. Back to school: a time for school supplies, dropping the kids off and complying with gun laws. One of those things is not like the others. For gun owners though, a handgun carried on the body in a motor vehicle is a natural part of their daily routine. Is that legal in a school zone when dropping the kids off? What about school functions? 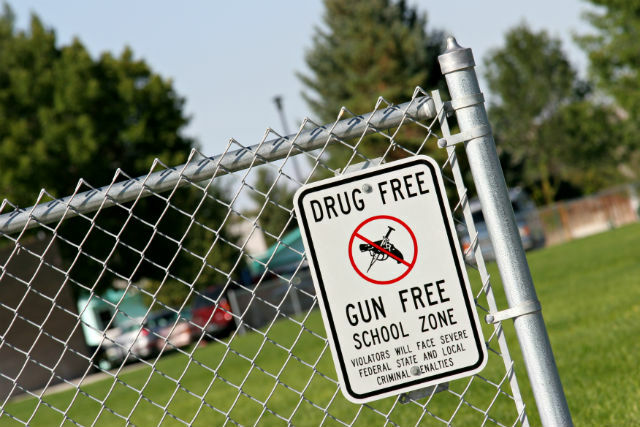 Federal gun laws targeting guns in schools were introduced in 1990 after Senator Joseph Biden (yes, previous Vice President Joe Biden) introduced the Gun Free School Zones Act of 1990 as part of Senate Bill 3266, the Crime Control Act of 1990. It prohibited firearms within 1,000 feet of primary and secondary public, parochial, or private schools. It was struck down by the Supreme Court in 1995 through United States v. Lopez, cited as encroaching on state rights. The act was amended and later recirculated into legislation through H.R. 3610, otherwise known as the Omnibus Consolidated Appropriations Act of 1997. It's now cited as 18 U.S.C. § 922(q)(2)(A) and 18 U.S.C. § 922(q)(3)(A). The idea is still the same. There are seven exceptions to it under 18 U.S.C. § 922(q)(2)(B). The law doesn't apply if the individual possessing the handgun is licensed to do so by the state the school is in. It also doesn't apply if the firearm is not loaded and in a locked container. So, get a concealed weapons license, and qualify for that exception under federal law. Or simply keep it locked and unloaded. A caveat to that — well, 51 caveats (including D.C.) — state laws. The moment you consider concealed carry in school zones from a state perspective, things get much more complicated and much more variable. 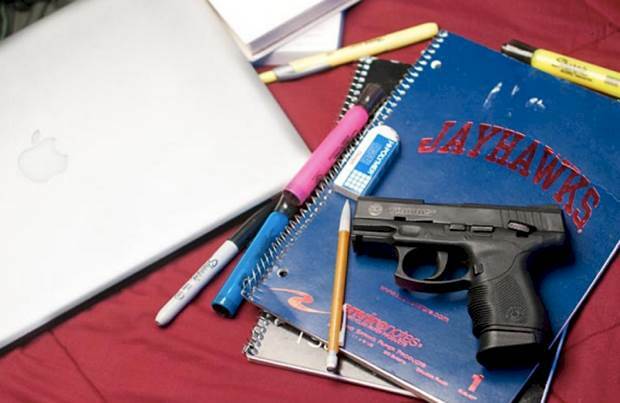 Almost every state prohibits guns in K-12 schools, but concealed weapons are another matter. It's allowed in Alabama (Ala. Code § 13A-11-72(c), (e)), Alaska (Alaska Stat. §§ 18.65.755; 11.61.210(a)(7), (a)(8).) with the exception that it's encased and unloaded, Arizona with the caveat that it's only on private school grounds that may prohibit CCWs Att’y Gen. Ariz. No. I16-009 (R15-024), Oregon (Or. Rev. Stat. § 166.370(3)(d), (g)), Rhode Island (R.I. Gen. Laws § 11-47-60(b)), Utah (Utah Code Ann. § 76-10-505.5(4)(a)) and Wyoming if the gun owner is a school employee (2017 Wyoming HB 194). Granted, those listed states allow only permit holders to do so — with the exception of Alaska, which is a constitutional carry state. It should be noted that Hawaii doesn't have any statutes listing this, but let's be honest here. Obtaining a Hawaii CCW permit is already a neigh impossible procedure. Most other states prohibit concealed carry in K-12 schools and school zones. Two notable, common exceptions to this in state laws: when the firearm is locked in a vehicle on school property and when the lawful gun owner is in possession of the firearm when picking up or dropping off their children. How can criminal charges be brought against someone, and how severe can the charges be? Well, it could be up to five years imprisonment and a maximum fine of $5,000, according to the law firm Wallin & Klarich. 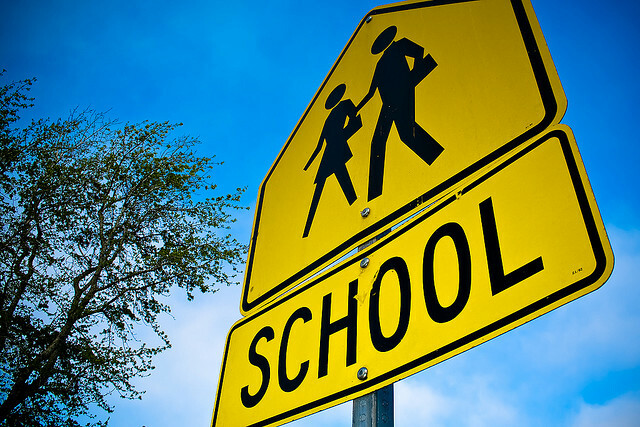 Make sure to cross your "t"s and dot your "i"s when it comes to carrying in school zones. It could be a major offense. Oh, and none of this is formal legal advice (I also have to make sure I cross my "t"s and dot my "i"s, you know). Curious about campus carry? We've published content about it. Read about here.